Across the Global North, many commentators have begun to note the expansion and spread of nationalist sentiments with some concern. Outside of the US, in the immediate aftermath of the U.K. vote to leave the European Union (EU) in the June 2016 referendum, there was an alarming increase in reported incidents of hate crime targeted at non-U.K. nationals (Burnett, 2017). These varied from physical attacks on individuals to verbal abuse and cyber assaults. Commentators suggested that the vote to leave had somehow—and for some people—legitimized the open display of negative attitudes toward foreigners and cultural difference, casual xenophobia, and indeed racist behavior (Khalili, 2016). BRENDAN BARTRAM, PhD, is Reader in Education at the University of Wolverhampton, UK. He was awarded a National Teaching Fellowship by the Higher Education Academy in 2012. His research and publications cover a wide range of issues related primarily to higher education practice, pedagogy, and policy. 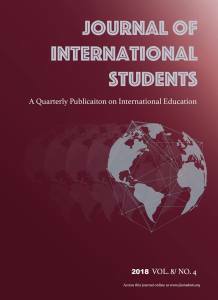 Much of this work has involved a comparative dimension, examining such themes as international student mobility, behavior, support and motivation. Outside of higher education, his book, Attitudes to Modern Language Learning—Insights from Comparative Education, examined secondary language learning in the UK, US, Australia, Germany, and the Netherlands. Brendan is a member of the British Education Studies Association and was honorary secretary of British Association of International and Comparative Education. Burnett, J. (2017). Racial violence and the Brexit state. Race and Class, 58(4), 85–97. Dennis, M. (2017). International student mobility and the new world disorder. Enrollment Management Support, 21(8), 3–5. Ford, R., &Goodwin, M. (2017). Britain after Brexit: Anation divided. Journal ofDemocracy, 28, 17–30. J. J., & Rice, C. (2007). Welcome to America? International student perceptions of discrimination and neo-racism. Higher Education 53, 381-409. Rose-Redwood, C., & Rose-Redwood, R. (2017). Rethinking the politics of theinternational student experience in the age of Trump. Journal of International Students, 7(3), i–ix. All published articles are licensed under a Creative Commons Attribution-NonCommercial-NoDerivs 4.0 Unported License. Subscribe to receive email alerts when new issues of the journal are published, including free digital copies, calls for papers, and other updates.